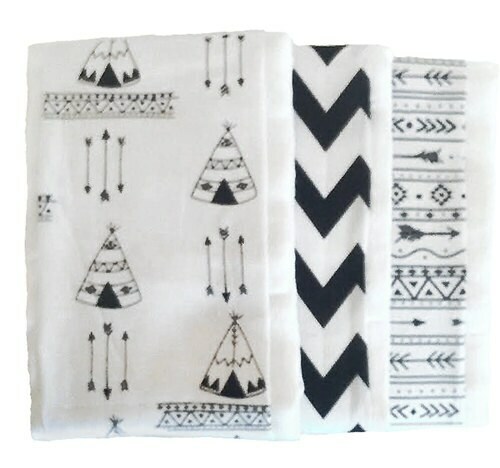 Modern set of 3 burp cloths in popular Native American theme featuring Arrows & Teepees. 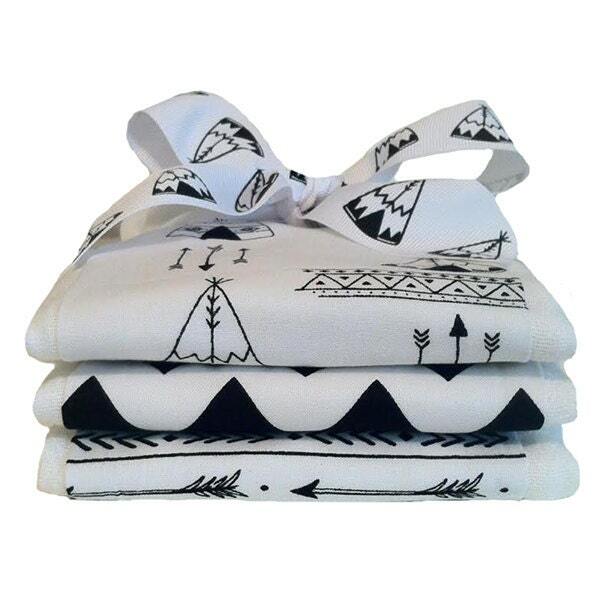 This burp cloth set includes three burp cloths with cotton fabric center panels in prints as shown. What better way to clean their little messes in style! Makes a great baby shower gift! * Burp cloth size about 13" x 18"
Love these burp cloths! Perfect shower present! Just as pictured. These came wrapped so perfect!! They are adorable!!! Thank you!! These burb cloths are so adorable!!! Durable and cute: I can't wait to use these! Perfect for a woodland themed baby shower gift.